Thick cut turf technology for the sports industry. In today's ultra competitive sporting environment natural turf surfaces are pushed to their limits as stakeholders seek to maximise usage and performance. Our Ready to Play turf products have been used on numerous high profile stadium projects, performing to elite standards and installed on extremely short time frames - often with return to elite level play the very next day. Matrix is a ready to play sports turf replacement system that enables instant use straight after install - perfectly suited for high demand stadium/elite field applications. 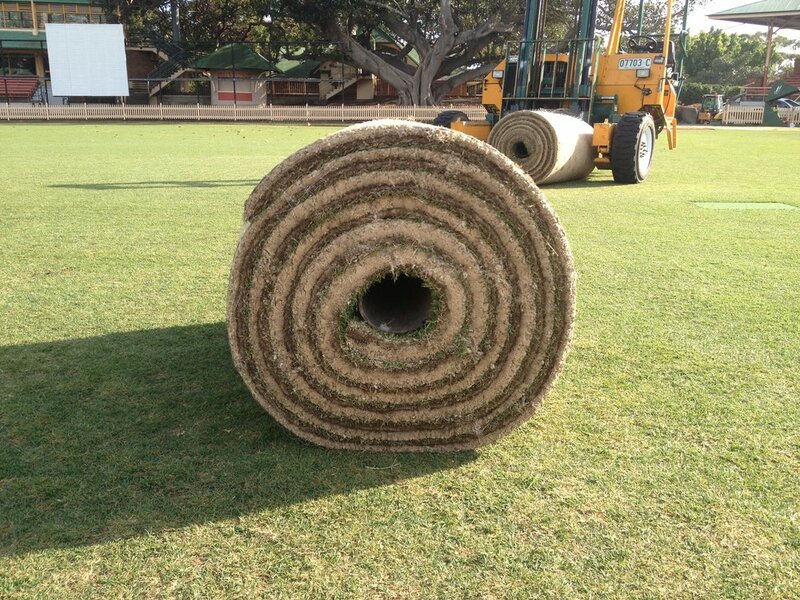 Matrix turf rolls feature an interwoven mesh support layer that provides strength and stability to the sod without compromise to drainage. This ensures quick onsite install and minimal asset downtime, meaning you will be back in business sooner. Matrix Ready to Play currently under contract.